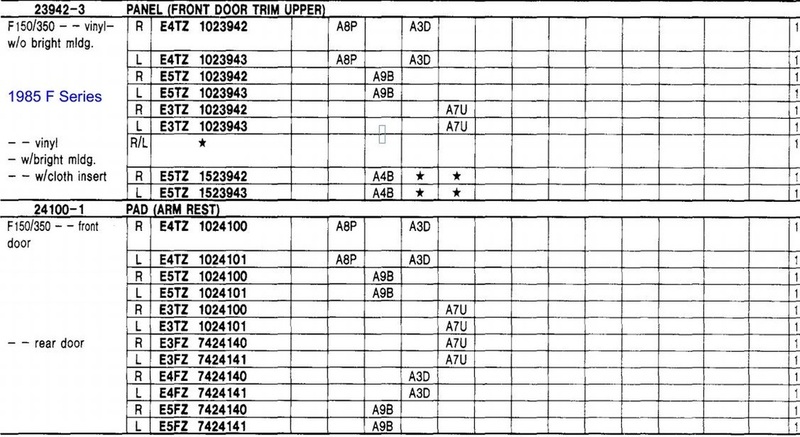 The following tables are taken from the master parts catalog and show the various door panels that were used. And, in some cases I included the arm rest information when it appeared to have more or different information than the door panel part. One of the reasons for capturing this information is in trying to determine the different interior colors, so all the information that I could get helped. 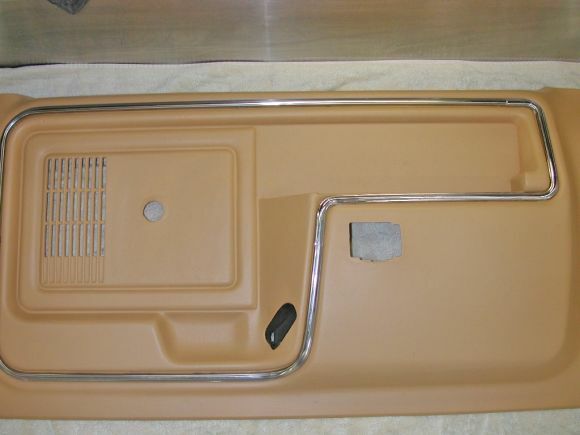 And, if you are looking for the "push pins", as Ford calls them, that retain the door panels to the door they are Ford #N802900-S. Ford says they are 7.1 x 16.4mm, and are still available NOS. But, I wonder how brittle the NOS plastic might be, so I'd get aftermarket pins, like these from Amazon.